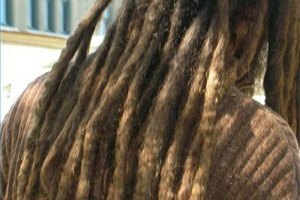 Dreadlocks, also known as dreads or locs, is a hairstyle that separates hair into small twisted sections. Occasionally, the dreads will need to be retwisted so they can retain their shape, and that presents an opportunity to shampoo and condition them also. Honey mixed with lemon will hold dreads in place as you twist them. It is a natural and inexpensive way to keep dreadlocks looking their best. 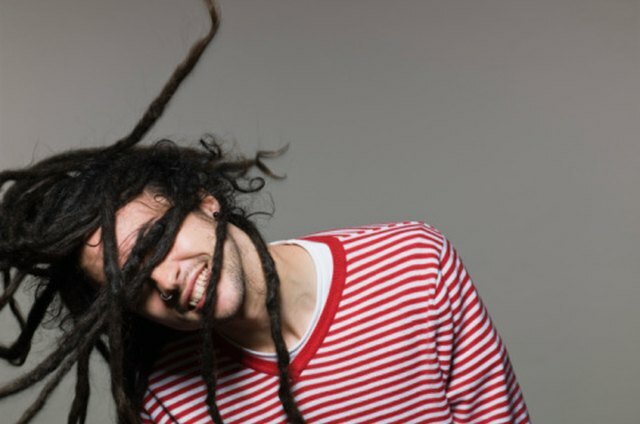 Wash your dreadlocks with a detoxifying shampoo to remove excess dirt and buildup. Condition your hair at the ends. Gently towel dry, and place the towel around your shoulders to protect your clothing as you work. Mix together three parts honey to one part lemon juice in a small cup. You don't need much to begin with and the consistency of the honey should be thin after the lemon juice is added. Mix the solution with your fingers. Take one of your dreadlocks and put a small dab of honey mix on it. Begin twisting the loc, working the honey mixture into the hair as you twist. Make sure that the hair is still damp when you do this. When you have completed twisting the loc, only your fingers should be sticky, not your hair. Pin your twisted dreadlock up on your head, securing it with a small metal clip. Continue this process on all of your locs. If the hair seems dry, spray it with water as you go. This keeps the hair from getting too sticky and helps when forming the retwisted dreadlock. 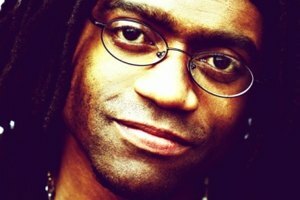 Unpin all of your dreads and sit under a hooded hair dryer for 30 minutes, or use a handheld dryer, set on low heat. You can also let your hair air dry. After the hair is completely dry, you will notice the honey makes it shine. The time spent under the dryer will bond the honey to the hair, making it gleam and eliminating any trace of stickiness.